Stop Talking about your Film and Make It. Dec - 08 | By: NW Film Center | one comment. That’s what you keep telling yourself. Well, why wait another year or another day? The Northwest Film Center School of Film is offering an array of weeknight and weekend hands-on classes, starting throughout January. Write that romance you’re always thinking about, launch that documentary, meet other aspiring makers and creatives, get a leg up on entry level opportunities within the film scene, animate with an Oscar-winning director, or geek out with Super 8mm film (they still do that? YES!) and other technical workshops. Whatever your goal, taking that first step is the key to making all kinds of cinematic things happen. As a Film Center student, you have access to film equipment, a built in crew (hello, classmates), and award-winning filmmaker/mentor instructors. The School of Film is conveniently located on the streetcar line in downtown Portland. 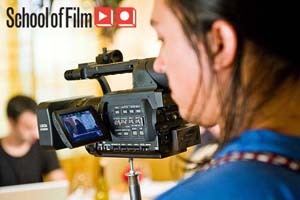 Make art, make change, make magic—this winter at the School of Film: http://nwfilm.org/school/. Watch student work on Vimeo. two super-8 resources for the kindred spirit.